Why Are Android Apps Preferred by Most Businesses? 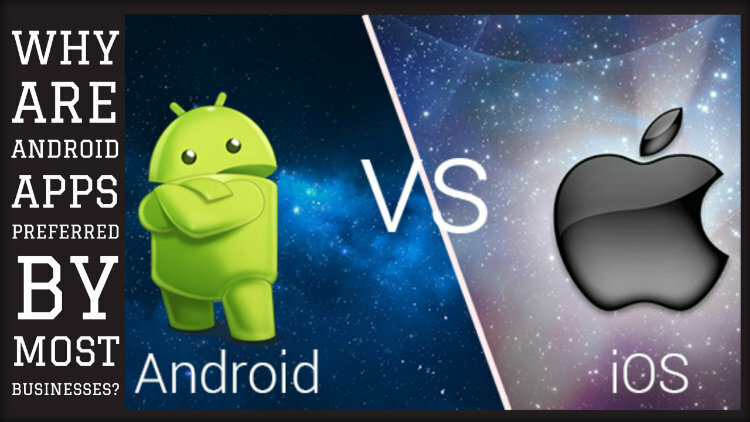 Android or iOS? – this is a very common and important question when it comes to developing mobile applications. Of course, both the operating systems bring some fine qualities to the table, but small and medium-scaled businesses typically choose Android as their choice of OS. Webzemini’s app developers decided to clear the air and present their opinion as to why most businesses prefer Android apps. Here, take a look. Whilst iOS is a closed source system, Android is an open source system. iOS can only be used privately and no one except Apple can modify or make alterations. On the other hand, anyone can use Android and even modify it. It also has a number of good revisions like, MIUI, CM and so on. Furthermore, it is easy to upgrade, as well as, downgrade an Android system, but the same cannot be said for iOS systems. As a well-known mobile app agency in Kolkata with experience, we have faced the difficulties of downgrading in an iOS system when our clients did not like the upgrade. You must already know that AR (augmented reality) and VR (virtual reality) are technologies that are making great strides in the app industry. Incorporating these technologies in the app development process can help you stand out from the rest. With the support of Google Daydream for VR and Tango for AR, Android is way ahead of Apple when it comes to these technologies. This isn’t a technical reason to prefer Android apps, but it is definitely an important one. Since the reason why you’re creating an app is to reach out to the users and promote your offerings, it is important that one app reaches out to millions. As most smartphones today use Android system, businesses undoubtedly benefit from its popularity. So, are you thinking of creating an app for your business? Call Webzemini and talk to our expert app developers. We will walk you through the whole process and also provide you with an approximate price quote as per your individualized needs.